Apple cider vinegar is a type of vinegar made from cider or apple must and has a pale to medium amber color. Vinegar – the acidic liquid produced by the fermentation process of all manner of fruits, vegetables and grains – is one of the oldest and most useful remedies in the world. Of the many forms of vinegar available today, apple cider vinegar (ACV) is widely recognized as the most potent and beneficial of them all. Unfiltered organic apple cider vinegar is packed with raw enzymes and good bacteria which promote healthy digestion and improve a number of bodily functions. Here are 20 uses for apple cider vinegar. Make amazing foot deodorizer wipes by pouring one cup of apple cider vinegar over baby wipes. Soak the wipes overnight in the fridge, then store in a zip-lock bag to use as needed. The acidic nature of apple cider vinegar will alter the pH level of your skin, which fights off bacteria that cause foot odor. In a pinch, these wipes also make great all-natural underarm deodorizers. Don’t be thrown off by the vinegar smell – it will dissipate once it dries. Apple cider vinegar works as a natural teeth whitener if you use it consistently at least a month. In case your pearly whites need a little brightening boost, turn to apple cider vinegar for the sparkling solution. Use it as a teeth whitener by gargling with it every morning. The vinegar helps remove stains and kill bacteria in the mouth and gums. You can also try using it as a mouthwash — dentists suggest combining two parts water to one part ACV and swishing it around for about a minute. Aluminum, the active ingredient in most antiperspirants, is a cumulative ingredient. This means that, the more a person is exposed to and the more his/her body absorbs, the greater the risk for potential harm. Research has shown that daily use of aluminum-based antiperspirants increases the risk of developing Alzheimer’s disease by 60 percent. You can actually use apple cider vinegar as a natural deodorant. Apple cider vinegar absorbs and neutralizes stinky scents. Simply rub a bit of ACV in your underarms and it will absorb and minimize body odors. The vinegary smell dissipates once it dries. A simple tonic of vinegar, water and honey can help maintain optimum body functioning and reduce weight. For daily weight management, add 2 teaspoons of ACV to 16 ounces of water. This concoction can be sipped throughout the day. ACV makes you eat less by producing a feeling of satiety sooner. In a 2009 study published in Bioscience, Biotechnology, and Biochemistry, it was found that subjects who consumed acetic acid for 12 weeks experienced significant declines in body weight, abdominal fat, waist circumference, and triglycerides. Apple cider vinegar can be very effective against dandruff. Just mix equal parts (about 1/4 cup each) apple cider vinegar and water in a spray bottle. Spray onto your hair after shampoo, let sit for 15 minutes and rinse. Use twice per week, and you should be flake free in no time. One theory suggests that the acidity in the vinegar makes it harder for the fungus that contributes to dandruff to grow on your scalp. Though it might seem like an oxymoron to treat stomach acid with an acid-containing vinegar, there is research suggesting that ACV works by correcting low acid, hence reducing heartburn. The pectin in apple cider vinegar has been known to move things along when bellies get backed up. Adding one tablespoon of apple cider vinegar to a cup of water and drinking it five minutes before meals can cure acid reflux. Note that ACV will not give relief if you have an ulcer. Perfect skin is always in. But that can be a bummer if you’re fighting acne. There are plenty of weapons in your battle for clear pores. Though there’s doubt as to whether ACV is a dependable acne-fighter, it may at least kill the bacteria on the surface of your skin. Use it as an astringent (just dilute it and apply it to your face), or use it as a spot treatment to target blemishes. Taking it orally as well as adding it to an Epsom salt bath help draw toxins and impurities out of your skin. Alternatively, mix one part ACV to 3-4 parts water. Apply to your skin with a cotton pad, let it sit for about 10 minutes, and then rinse. Repeat this remedy three times a day. Toners were originally introduced as a way to restore the skin’s natural pH after using conventional cleanser products which became popular in the 1930s. The skin has a very delicate acid mantle that normally has a pH of around 5. 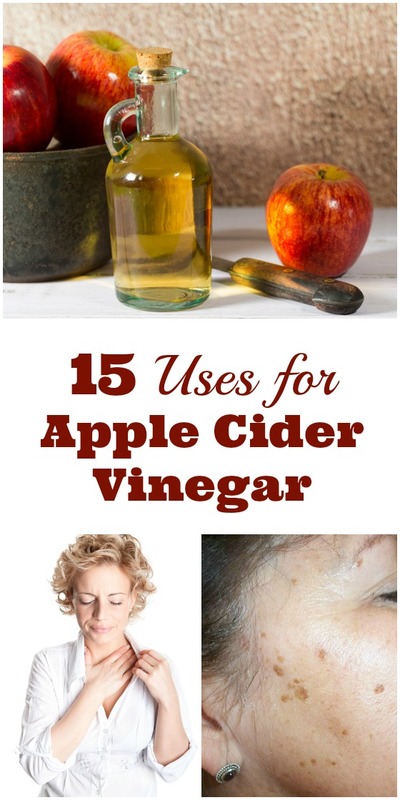 You will need raw, unfiltered apple cider vinegar and distilled water. Mix one part apple cider vinegar with 4 parts water for sensitive skin; mix one part apple cider vinegar with 2 parts water for normal skin; Mix one part apple cider vinegar with one part water for oily skin. In 2012, 29.1 million Americans, or 9.3% of the population, had diabetes. Considering the gravity of those numbers, every little bit of prevention helps, and ingesting apple cider vinegar might be another small step to keep from joining that statistic. Scientist suggested that ACV might work in a similar way to some diabetic drugs and could have a potential in controlling diabetes. Sipping ACV helps improve insulin sensitivity (particularly in those who are insulin-resistant), which, in turn, may delay or prevent type 2 diabetes. ACV can be used as a natural hair conditioner and makes your hair shine. Take an old shampoo bottle and fill it with one tablespoon of apple cider vinegar and one cup of water. Pour this on your hair after shampooing three times per week for best results. Sinus infection is inflammation of the air cavities within the passages of the nose. Clear your sinuses — and get ready to breathe easier — by sipping on a home remedy of water and ACV. Just as it helps fight sore throat-causing germs, it may also stop bacteria from growing in your sinuses. Plus, its potassium content could help thin all that lovely mucus that’s made itself at home in your nose. ACV has the ability to smooth the hair’s cuticle, which helps prevent split ends and breakage. Add apple cider vinegar to your hair regimen by mixing one part ACV into one part warm, filtered tap water. Apply the vinegar rinse after shampooing, then rinse it all out, or for extra conditioning, you can leave the rinse on your hair for a minute or two. This natural hair care product can be used once a week or as needed. By breaking up mucus and promoting better lymph circulation in addition to aiding digestion, apple cider vinegar pushes toxins out of the body all while supplying your body with natural minerals, vitamins and enzymes. If vinegar and water is hard for you to bear, try mixing a few teaspoons in hot water with honey and lemon for a great detoxifying drink. Sun exposure, aging and poor nutrition may also contribute to bad skin tone. You may be able to correct bad skin tone by using a topical apple cider vinegar treatment. 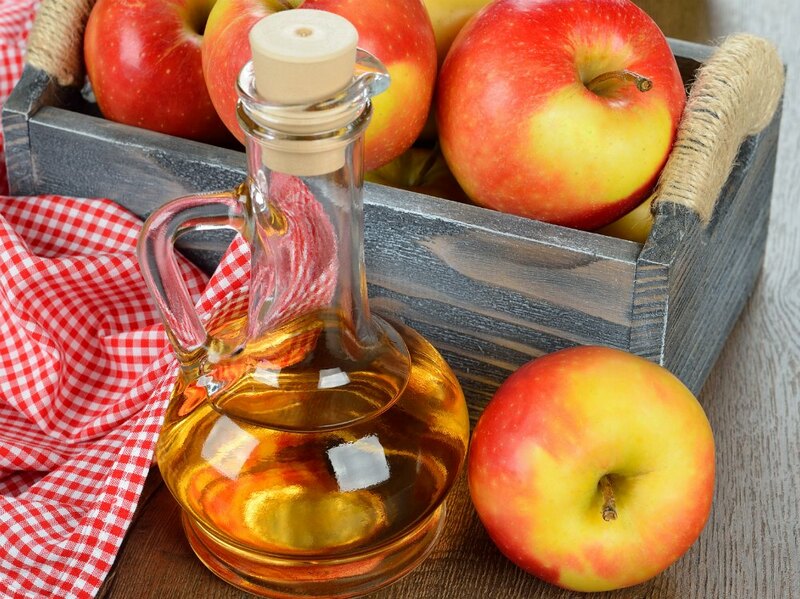 You can dab some pure apple cider vinegar on age spots and leave on your skin overnight to help reduce discoloration. As soon as you feel the prickle of a sore throat, employ germ-busting apple cider vinegar to help head off the infection at the pass. Turns out, most germs can’t survive in the acidic environment vinegar creates. Just mix 1/4 cup of apple cider vinegar with 1/4 cup of warm water and gargle every hour or so.